Are you getting ready to buy your first home? While it’s a big task, when you are arm yourself with the right information, you can avoid setbacks that complicate the purchasing process. Most of these items can easily be avoided if buyers have access to proper information. 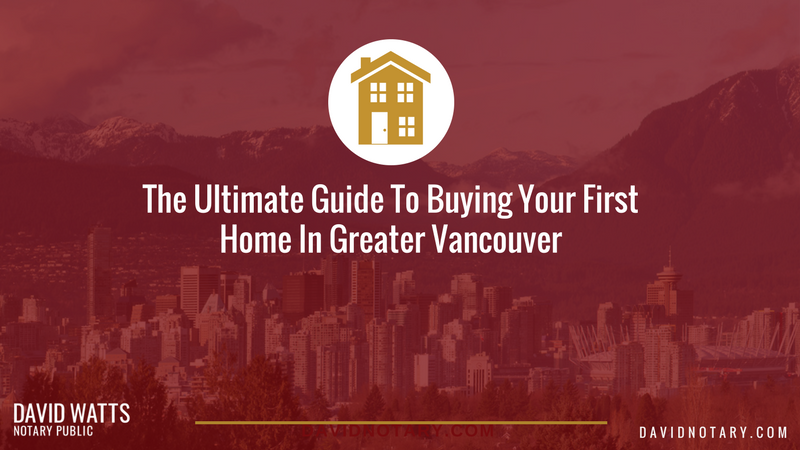 That’s why, if you’re looking to buy your first home in Vancouver or the surrounding area; here’s a guide to help you navigate through this complicated (and often daunting) process. Before you even start thinking about purchasing a home, there are a few things that you must consider. The health of your credit score will dictate whether or not you can secure a loan, how much you can borrow and what interest rate you will get so it’s helpful to find out in advance where you are and what you can do to improve it. Every lender has their own criteria, however, most consider a score of 650 and above low risk. 35% payment history – whether or not you make your payments on time. 30% utilization ratio – they recommend staying before 35% of your total available credit and never going above 70%. 15% length of credit – the longer you have accounts open, the more history it shows of you being responsible with credit. 10% types of credit – have a mix of high risk credit such as credit cards and lines of credit, and low risk personal loans. 10% inquiries – hard credit checks occur when you are applying for new credit, phones and even bank accounts. Too many can affect your credit rating. 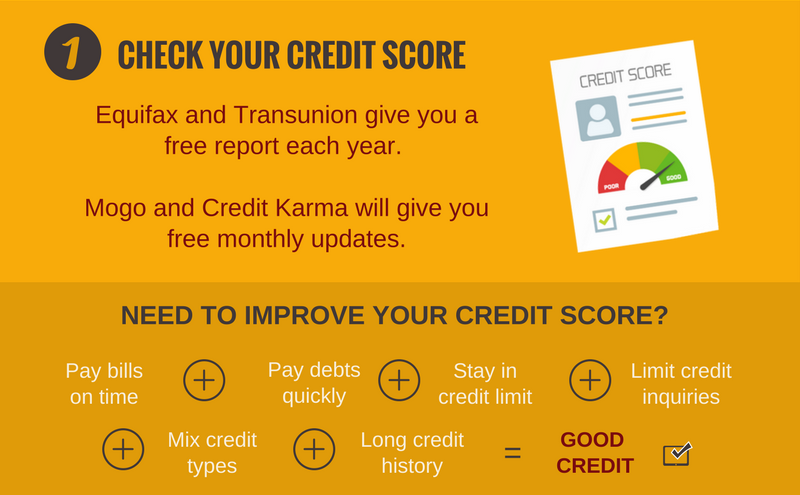 Both Equifax and Transunion will give you a free report each year – go here for full instructions. Services such as Mogo and Credit Karma will give you free monthly updates without making formal credit checks that affect your scores. Paying your debts as quickly as possible. Not going over the credit limit on your credit cards. Reducing the number of credit applications you make. Given the high prices of real-estate in Vancouver and its surrounding areas, a downpayment for a house or a condo may be a significant amount of money. You will be required to have at least 5% for a down payment to get a mortgage with default insurance; or at least 20% for a mortgage without default insurance. You’ll also need to prove to your lender that you can cover your closing costs on top of your down payment. 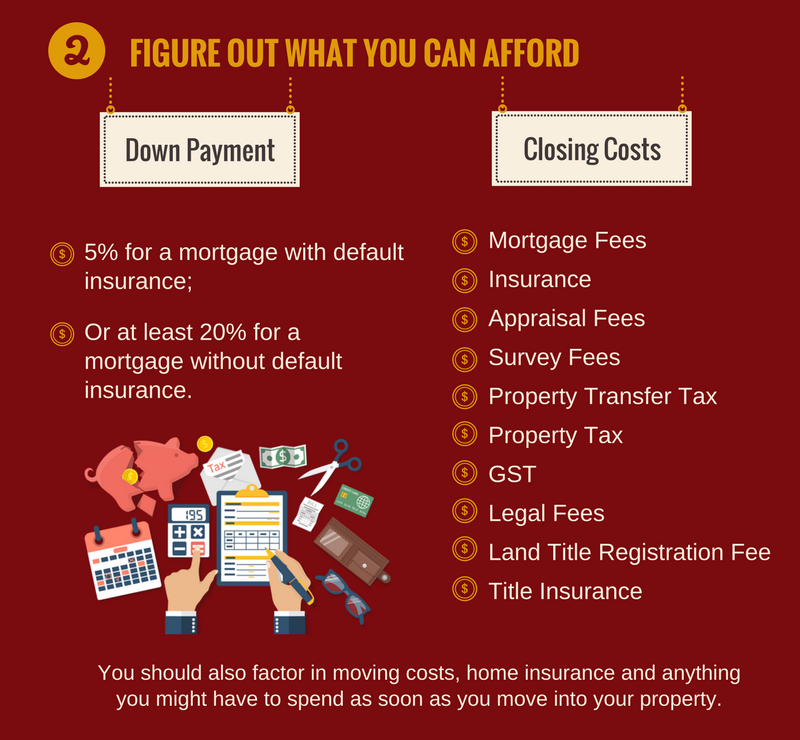 For full details check out our article The First Homebuyer’s Guide to Closing Costs in Vancouver. You should also factor in moving costs, home insurance and anything you might have to spend as soon as you move into your property. There are a number of different ways to get a mortgage, the most popular being banks, credit unions, and mortgage brokers. Each will have different terms, conditions, and interest rates. Working with a mortgage broker will give you access to a wider range of mortgages and lenders than working with a solo lender such as your bank. Every mortgage broker will have relationships with different lenders, so ask them who they work with. Mortgage brokers charge the lender a commission so you don’t have to pay any additional out of pocket fees with institutional mortgages. There may be additional fees with private mortgages. To make sure you find the right Mortgage broker, check out our guide on How to Choose the Right Mortgage Broker. Getting pre-approval doesn’t mean you are guaranteed to get a mortgage, or the amount that you’ve pre-approved for. It means the lender has assessed your financial situation and determined the maximum amount they will lend you and the interest rate they will apply. Pre-approval allows you to begin looking at homes knowing your price range while understanding your mortgage payments. Once you have found a home, the approved mortgage amount will depend on the value of the home and percentage of your down payment. Current salary or hourly rate. Your employment length and history. 2-3 years of your Notice of Assessment when self employed. Proof you have the funds for a down payment. What other assets you own. The lender will determine how much they are prepared to lend you based on your credit rating, income, and debts. Before signing on the dotted line for a mortgage, make sure that you understand all of the fees associated with your mortgage. 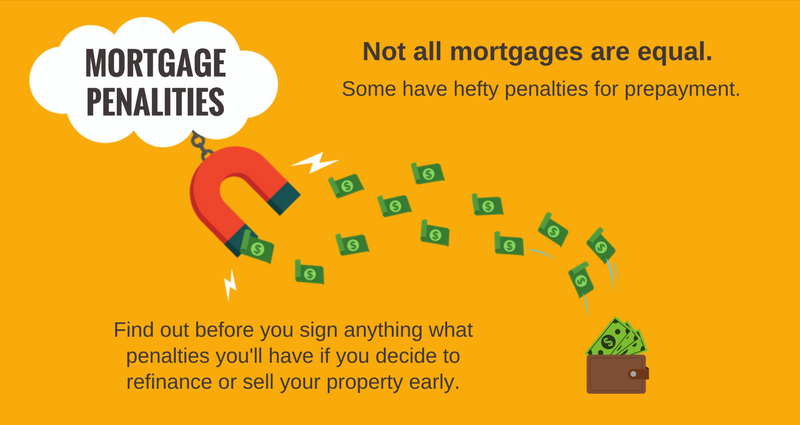 One important fee to understand are the penalties you will have to pay if you decide to sell your home and prepay your mortgage. First time home buyers in British Columbia may qualify for the First Time Home Buyers’ Program. This program is run by the provincial government, and reduces or eliminates the amount of property transfer tax you pay when you purchase your first home. In B.C., the Property Transfer Tax (PTT) is a tax of 1% on the first $200,000 and 2% of the remaining value of the purchase price to $2,000,000. This can add up to a significant amount of number, which means that you should definitely check to see if you can be exempt from paying this tax. You don’t NEED a real estate agent to buy a home, but you should consider getting one. A real estate agent will be able to guide you through the process of searching for and purchasing a house. These professionals are knowledgeable about the market, and have helped close deals in the past. They will make your life easier throughout your purchase. Because you will be working closely with your real estate agent, it is recommended that you hire someone you trust. Shop around, make some calls, and find someone who you’ll be comfortable working with. 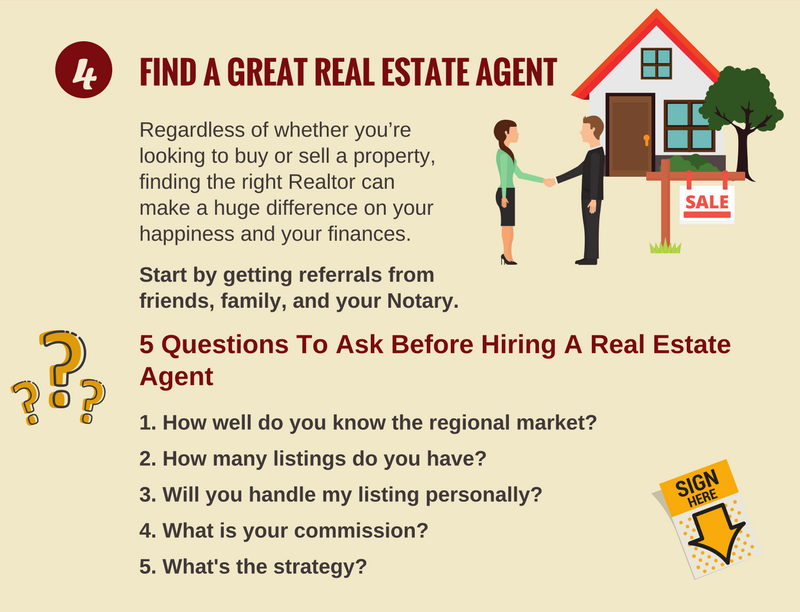 To make sure you find the right Real Estate Agent, check out our Guide How to Pick the Right Real Estate Agent. Then, put them to work helping you find a house. 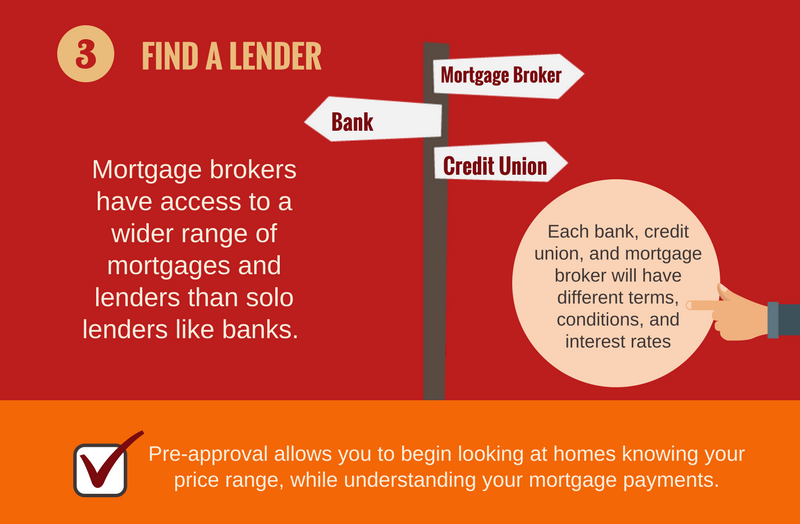 Remember the pre-approval is the maximum your lender will MAY give you. It makes sense to look for properties below the maximum. Once you have an agent working with you, your mortgage has been pre-approved, and you’ve figured out how much you can spend on a down payment, you’re ready to start looking for a house. Finding the right house takes time and effort, and a healthy amount of patience. That’s why, if you’re serious about finding a home, you should place the search high on your list of priorities. This will inevitably mean making some sacrifices. You’ll probably be seeing many houses and going into many meetings, so keep that in mind when making plans. Prioritizing the search also means avoiding large expenses (such as buying a car). Doing this will have an impact on your financial situation, and may mean that your mortgage pre-approval is revoked. Perhaps one of the most important things that first time buyers need to know is that they probably won’t be buying their dream home. Being open to new plans and flexible about your wishes is key to successfully buying your first home. Maybe the house you find is great but isn’t in the area you wanted. Maybe the location is ideal, but you need to invest in changing wallpaper and cupboards. Maybe the yard is a bit smaller than you wished. The perfect home possibly doesn’t exist (or is out of your price range) and that is just a reality that everyone has to deal with. As long as you have an open mind about your first home, you’ll be fine. And remember: this home will probably not be your forever home, which means that you’ll most likely be able to upgrade down the road. When selling a home, people often bring in Stagers and do minor facelifts to make the house look its best. This can mean a room might look bigger than it is, or that you don’t notice something. When you start seriously considering a property, make sure you measure rooms and look closely at what might be hiding behind a coat of paint. Once you’ve found a home you like and made sure it fits your budget, it’s time to make an offer. Making an offer requires that you sit down with your real estate agent (and perhaps a notary public or lawyer) to draw up an offer that incorporates the right amount of “subjects”. These “subjects” are conditions that protect your purchase. For instance, the offer can include a subject that specifies that unless a fix is made, the offer will be rendered void. It should also include a subject to inspection condition. This will allow you to get a third party professional to check the house for any serious issues that the untrained eye would miss. Doing so can save you a lot of money in the long run. If you are getting a mortgage, it should definitely include also include a subject to a financing condition. Your lender may have approved your for financing, but not like that building. Make sure the lender approves the property as well as you. If buying a house or detached property, I always recommend you make sure you can get insurance on that property. Sometimes there are things like older aluminum wiring that can make it difficult. Your lender will require you have insurance before they advance funds; so make sure you can get insurance before you remove subjects are you are obligated to complete. If the seller approves your offer, you must go back to your bank (or mortgage broker) and finish the loan approval process. As long as your financial situation has not changed since getting pre-approval, this should not be a difficult process. Once your financing has been approved, it’s time to do a final inspection. This will cost around $500 (or more) and may take a while to do, so book it in as soon as you put your offer in. Inspection is just one of the many closing costs you’ll have to incur. Unfortunately, these costs will add up, and many people don’t know they exist. That’s why it’s important to review them beforehand. In general, you should keep in mind that these costs could add up to nearly 4% of the final purchasing price. For more information about Closing Costs, check out our Guide The First Time Homebuyer’s Guide to Real Estate Purchase Closing Costs In Vancouver. At this point, you should know exactly how much money you’ll need for your BC Notary or Lawyer to complete the transaction. They will let you know what the best way to make this payment is, and will advise you on what you need to bring to the signing. During this part of the process, you’ll have to go through a lot of paperwork. You’ll also potentially have to go back to the bank to make sure all mortgage details are finalized. 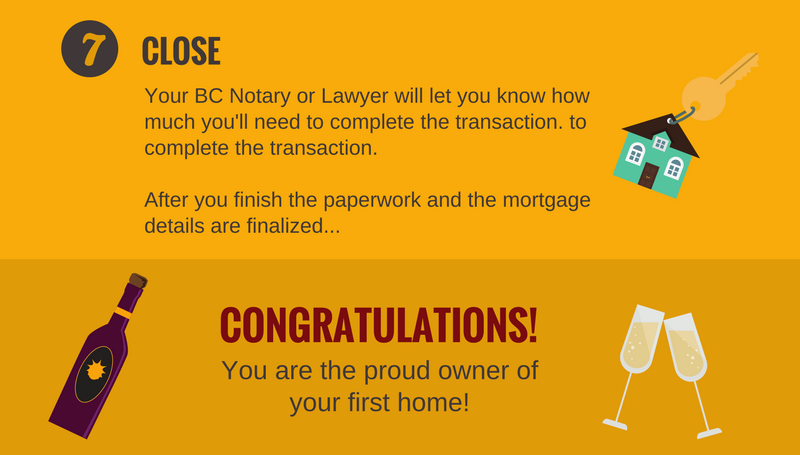 This part of the process may be tedious, but once it’s done, you’ll be the proud owner of your first home! Now that you know the steps involved in purchasing a home, there are a few things you can do right now to get the ball rolling. 1. Find out how much you can borrow. Doing this will give you a clearer picture of how you’ll be able to pay for your new home. 2. Get advice from a BC Notary. Notaries provide professional legal guidance on the purchase or sale of a home and can help you navigate through the legal part of purchasing a home. In 2016, 57 percent of first-time home buyers in Canada got their mortgages from a broker. The staggering figure, which was published in a recent survey by the Canada Mortgage and Housing Corporation, is indicative of a broader trend: more and more Canadians are choosing brokers over banks when it comes to purchasing or refinancing their mortgages. People are choosing brokers over banks because brokers often can give personalized advice on a mortgage and shop around between lenders to find better deals. This flexibility can really make life easier and help cut costs, but here’s the catch about brokers: it’s tough to find the right person for the job. The quality of your broker will help make sure funds are ready when the deal needs to complete and determine your financial situation for the next few years, so if you’re looking to buy a new home it’s important that you find a broker who’s both qualified and trustworthy. What Does a Good Mortgage Broker Do? A good broker will help you figure out how much you can truly afford, determine what the best mortgage product is for you, and shop around for options that help you save money. But their job doesn’t end there. Your broker should also help you after review your mortgage a few times a year to see how you can pay it off faster, whether it’s still the right product for you, and if it’s still competitive. Write a list with the names of brokers you may know, you find and are referred to you. If you have co-workers or friends who have bought a home recently; or renewed their mortgage; ask how they liked working with their broker and who they were. Ask your BC Notary, lawyer or Realtor for a referral for people they have worked with and they should be able to tell you fairly quickly who they know, like and trust. You can also search online to find mortgage brokers in your area. We know a number of brokers and would be happy to provide some names of competent professionals to help you find the right fit. Before you even start talking to potential mortgage brokers, it’s important that you do some preliminary research. Search online. A quick Google search will give you the names of mortgage brokers that operate in your area. Many of these brokers will have websites and online profiles. High profile ones may even have peer-reviews posted websites like Yelp. Visit their websites, check them out on LinkedIn, and read reviews. Doing this will give you insight into the the broker’s past work and reputation. While you’re at it, do a quick search on the Canadian Association of Accredited Mortgage Professionals’ website. The organization also has an online directory that can help you make sure that the broker is accredited. Ask around. Once you’ve created a shortlist of potential mortgage brokers based on your research, start asking around for reviews and recommendations. Talk to friends, colleagues and neighbours, and see if they have worked with anyone on your list, or if they have anyone else to recommend. If someone has had anything less than a good experience with an broker, immediately cross them off the list. Reach out. Once you have a list of potential mortgage brokers, it’s time to contact them. See what kind of vibe you get and ask if they have references from previous clients. If you get a good vibe, keep them on the list, and coordinate a time to meet them. If you don’t get a good vibe, cross them off immediately. By the end of the research phase, your list of potential mortgage brokers should have at least three strong candidates. The next step is to meet up with them. These interviews may seem intimidating at first, but remember: You’re in control. They have to impress you, not the other way around. These interviews are important to figure out if the broker has the perfect balance between credentials and chemistry. While experience may not necessarily equate good service, it is important to know how long a mortgage broker has been in business. Mortgage brokers with experience will generally have cultivated relationships with more lenders. This means that they will be able to shop around for deals from a wider pool of lenders. 2. 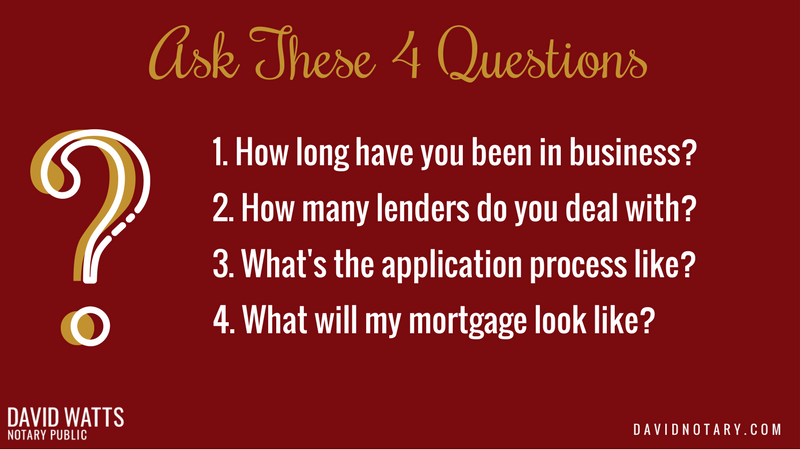 How many lenders do you deal with? Regardless of experience, good brokers deal with many lenders. High-volume brokers can negotiate better deals, helping you find something that best suits your needs. Low-volume brokers may have less options. 3. What’s the application process like? Many brokers offer online platforms that help you compare costs and easily apply for loans. Be sure to ask about average closing times, specific requirements (credit score, down payment, debt-to-income ratio, etc. ), and all documents you will need throughout the entire process. 4. What will my mortgage look like? Not all mortgages are the same so find the one that works for you. Make sure to consider things like prepayment privileges, porting, and assuming mortgages as well as whether to go with fixed or variable rates. Is CMHC Insurance a consideration or can I have my property taxes collected with my mortgage payment? Discussing these topics and asking broker’s opinion will help you get to know then; educate you and also show them you know what type of questions to ask regarding your mortgage. 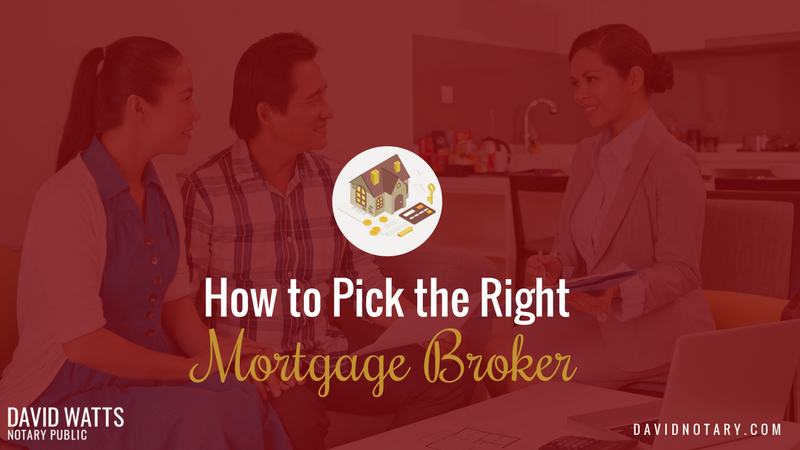 Now that you know how to choose a mortgage broker, it’s time to go out there and start your search. Good luck and have fun! Let me know if you have any questions or would like a referral.